There are lots of reasons why you should consider going ductless, and when Steel T Heating & Air Conditioning handles your comfort, we maximize the many rewards. There’s no mess from tearing down walls, and no giving up space to labor-intensive ductwork installation. Target a single room or multiple rooms, and with individual thermostats, you customize conditioning to individual preferences. Heat or cool only rooms that are in use, and because your ductless system delivers conditioned air directly, cross-contamination concerns are avoided. Quiet, clean, and efficient, the lightweight indoor units mount high on the wall or flush into the ceiling, and never calls unwanted attention. With a wireless remote, you access controls without leaving the comfort of your favorite chair. The outdoor units feature slim profiles and minimal operating noise, and with up to 82 feet of line length, allow for versatility in location. Contact Steel T Heating & Air Conditioning for skilled installation, and we can usually complete your entire project in a single day. When you need ductless heating and cooling system repairs, service, or installations, call Steel T Heating & Air Conditioning! 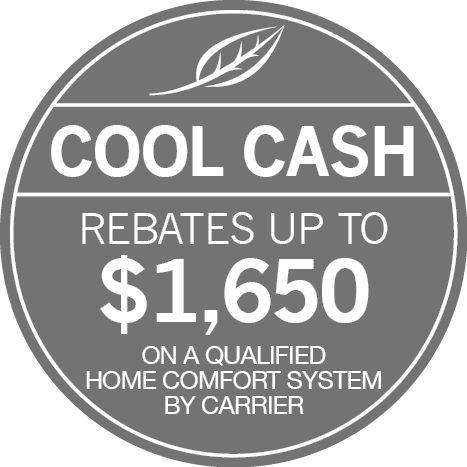 As a Carrier Factory Authorized Dealer, Steel T Heating & Air Conditioning offers ductless air conditioners and heat pumps that require little more than a three-inch hole in an exterior wall. We match your requirements to the perfect solution, delivering corner-to-corner temperature control, and ensure proper location, installation, and operation. Carrier brand ductless options feature sophisticated inverter technology, enabling components to automatically adapt capacity to deliver only the exact amount of conditioning required by your indoor environment at any given time. By operating longer, at lower capacities, the system maintains more even temperatures, enhances dehumidification, and optimizes energy efficiency. Steel T Heating & Air Conditioning provides ductless HVAC installation, replacement, scheduled service, and 24/7 Emergency Repair service across Littleton, Lakewood, Centennial, Highlands Ranch & Englewood, CO. We deliver rewarding comfort without complications.